Loma products are high performing with naturally healing ingredients and essential oil based fragrances. From the beginning in 1991, product purity is at the forefront, all Loma products are Paraben and Gluten free, Sulfate free cleansing and Sodium Chloride free, and all products are good for your hair and skin! 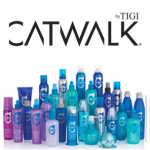 Catwalk by TIGI is a professional hair care brand designed by hairdressers for hairdressers. The brand takes its inspiration from the backstage world of fashion, celebrity and beauty. 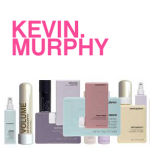 It brings specialist products and techniques to let you create the latest on-trend looks with speed and ease. 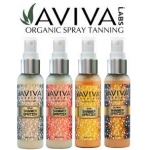 Aviva’s all natural, vegan, doctor-developed formula gives you a natural color that lasts longer than regular sunless tanners and fades evenly. 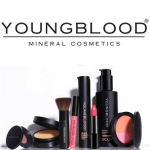 These oil-free, fragrance-free, alcohol-free, erythrolose-free solutions are only made with FDA-approved ingredients and is composed of the highest quality premium grade DHA. Water-based, hypoallergenic, non-comedogenic and free of harsh dyes and chemicals, every bottle of Aviva comes with the peace of mind knowing you’re using the healthiest formula available. And as always, Aviva does not test on animals.